Art & Marzena Pawlowski in Israel with Magen David Adom. Join Larry as he interviews Artur and Marzena Pawlowski on their recent 3 week visit to Israel on behalf of Christian Friends of the Israeli Medical Service Magen David Adom (Red Shield of David) Hear also a greeting to Canadians from the Mayor of Tel Aviv. 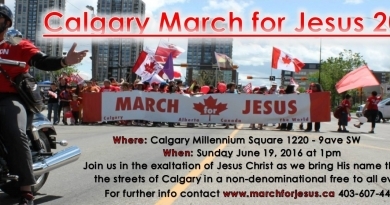 ← Calgary’s City Hall prayer meetings are back!